What's in an "All Local" Beer, Anyway? What's in an "All Local" Beer, Anyway? What’s in an “All Local” Beer, Anyway? Home » Articles » What’s in an “All Local” Beer, Anyway? The crafty little explosion of local breweries up and down the Valley over the last 20 years has become a point of pride for neighbors and travelers alike. But as local craft beer markets across the country have matured from clusters of quirky start-ups into primary players in local food movements, more and more opportunities have cropped up for brewers to partner with farmers in an effort to source local ingredients. 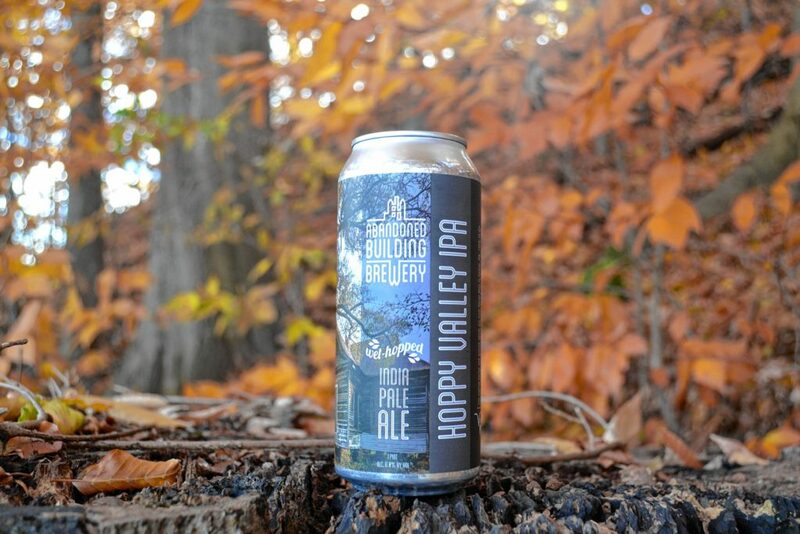 Breweries all around us are exploring ways to do this, but one prime example is the seasonal Hoppy Valley IPA — from Abandoned Building Brewery in Easthampton, founded in 2013 — which brewmaster Matt Tarlecki makes with 100 percent locally-sourced ingredients. Mainly: barley and wheat malted at Valley Malt in Hadley, plus hops grown at Four Star Farms in Northfield and at Tarlecki’s own hopyard in Hadley. Abandoned Building only gets one shot at making Hoppy Valley each year, since the hops harvest happens in late August and early September. Tarlecki says he was outside picking fresh wet Cascade and Chinook hops off the vine just one day before the brew. Yes, of course, water is everywhere. But water quality makes a big difference to a brewer. Abandoned Building’s site on Pleasant Street sits atop the Barnes Aquifer system, which means that Tarlecki — and brewers throughout Easthampton, Southampton, Holyoke, and Westfield — use H20 from 12 miles of underground aquifer that recently received the gold medal for best tasting water in the country at the 16th annual Great American Water Taste Test. Brewers find all sorts of ways to source yeast — from adopting strains from fellow brewers to swabbing fruits and berries to capturing yeast formed naturally from making cider. For his part, Tarlecki keeps a house yeast that he procured from a supplier years ago, which he uses in all of his American pale ales and IPAs. Tarlecki orders regularly from Valley Malt, which was founded in 2010 as an attempt to bring back the tradition of the New England artisan malthouse — a model that all but disappeared during the industrialization of globally-traded grain. Valley Malt now offers organically-grown and locally-malted heirloom grains as base malts for craft brewers looking to put a delicious and creative spin on their beers. “He contacted us several weeks in advance, so that we could plan out a batch of pale malt specifically for this project,” says owner Andrea Stanley, who settled on a German two-row winter variety of barley from the 2015 crop. If Tarlecki ordered from a large-scale industrial supplier, by contrast, he would receive a commodity blended to turn out a serviceable beer regardless of style. But Tarlecki was in search of customized, flavorful, and more subtle characteristics — and that’s Valley Malt’s competitive advantage. For more than a thousand years, brewers have used the flowers from the hop plant Humulus lupulus to add flavor, dimension, and stability to their beers. New England used to grow far more hops than it does now, but the crop — which thrives on hot, arid weather — fell off during westward expansion. Now, nationally, is mainly considered a West Coast crop. But several Valley breweries — like Abandoned Building, Fort Hill Brewery, and Hitchcock Brewing Company — maintain their own hopyards. And up in Northfield, Four Star Farms planted its first hop plants for commercial use in 2008. They’ve been scaling up ever since. Over the past eight years, Four Star Farms — which also sells grain, flour, corn meal, and turf — has scaled up its perennial hop planting from three-quarters of an acre to about 17 acres. “Our customer base has grown with each expansion we’ve done,” E’Toile says, adding that Four Star now provides hops to between 20 and 25 New England breweries each year.